The lead researchers, research teams and research assistance of ARC Project have been attending and presenting at summits and conferences to help share their findings and grow a support network for those affected post-disaster. 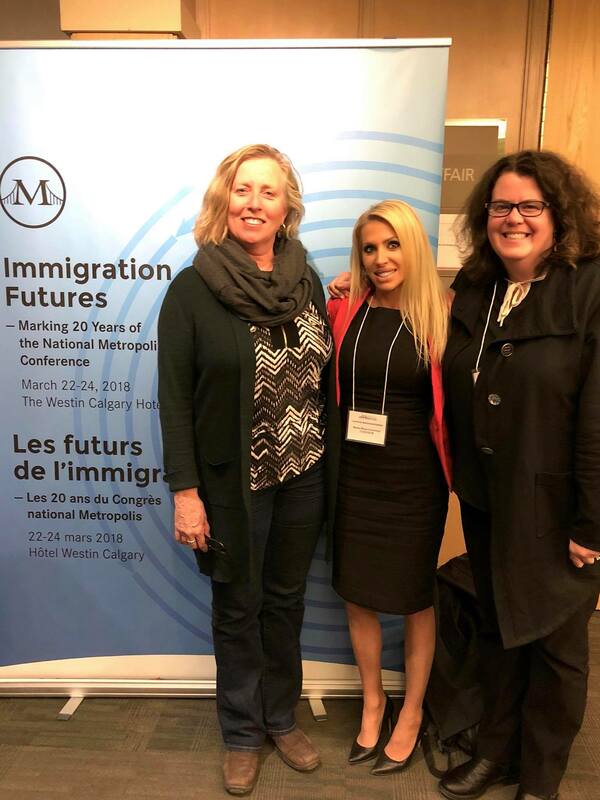 On March 23, 2018 Dr. Julie Drolet (community initiative), Dr. Robin Cox (youth initiative), and Dr. Caroline McDonald-Harker (child initiative) presented findings from the ARC project about the experiences of immigrant families, youth, and children during the 2013 Alberta Flood at the National Metropolis Conference in Calgary, Alberta. 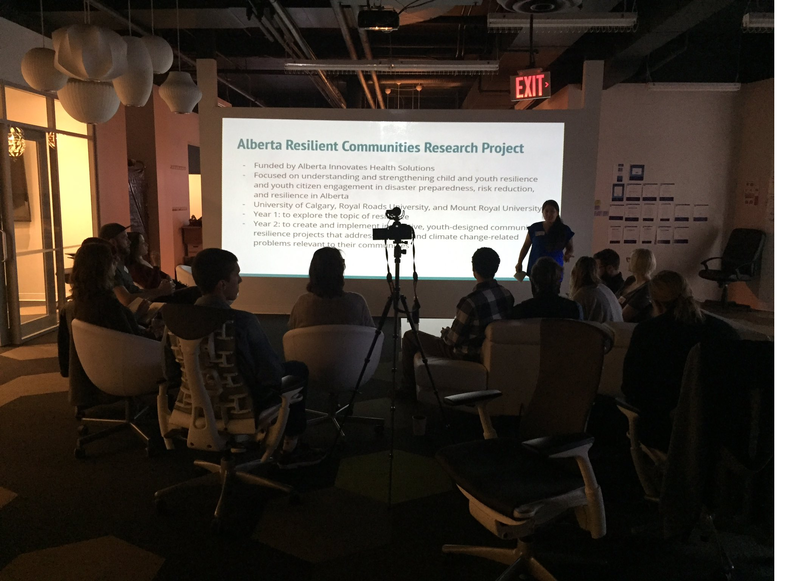 On June 6-8, 2017 Dr. Caroline McDonald-Harker (child initiative) and her research team presented findings from the ARC Project about children, disasters, and resilience at the Mayor’s Environment Expo in Calgary, Alberta. This annual three-day event hosted by the City of Calgary was held at the Calgary Municipality Building, gathering over 5000 students, families, and community members to celebrate environmental education. Dr. McDonald-Harker and her research team hosted a booth where they helped children learn through games, play and fun about Canadian natural disasters, the two major recent Alberta disasters, emergency preparedness, the psychosocial impacts of disasters, and ways that they can develop resilience skills to help them when facing natural disasters and other major challenges in their lives. Children and youth participated in disaster case scenarios by playing a snakes and ladders game where they used the resilience skills they learned to answer the correct question and move up a ladder, as well as were asked to write words that represent what it means to be “resilient” on wooden ladders. Children were given a “5 Ways to Increase Resilience in Children” infographic to take home with them to remember the resilience skills they learned. 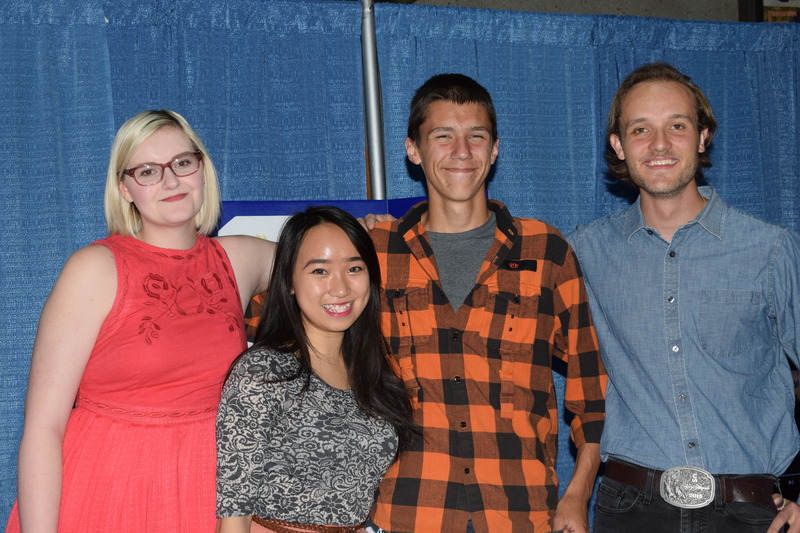 On June 6-8, 2017 Dr. Robin Cox (youth initiative) and her research team presented findings from the ARC project about youth, disasters, and resilience at the Mayor’s Environment Expo in Calgary, Alberta. 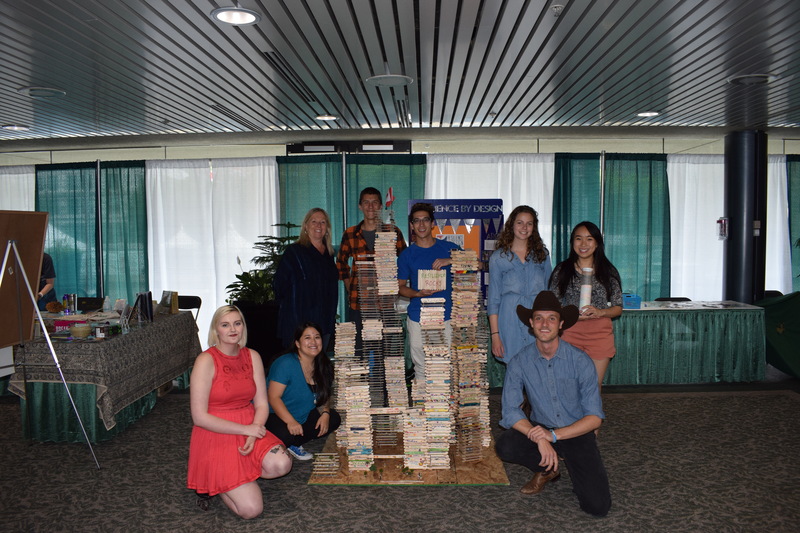 This annual three-day event hosted by the City of Calgary was held at the Calgary Municipality Building, gathering over 5000 students, families, and community members to celebrate environmental education. Dr. Cox and her research team hosted multiple interactive booths showcasing the youth-driven resilience initiatives. 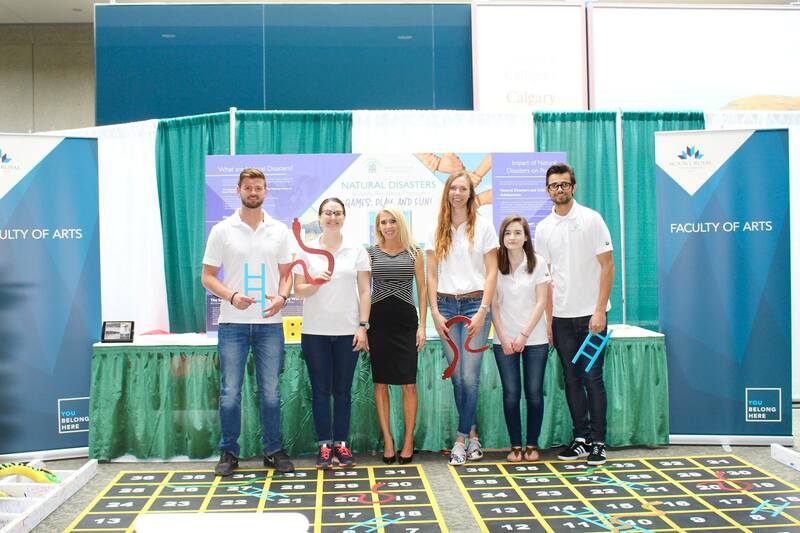 They also hosted a booth on resilience asking children and youth to identify people, places, and activities that support their personal resilience, and the ways they contribute to the resilience and sustainability of their communities and families. As a result, the structure is displayed outside of the City’s Office of Resilience in Calgary. 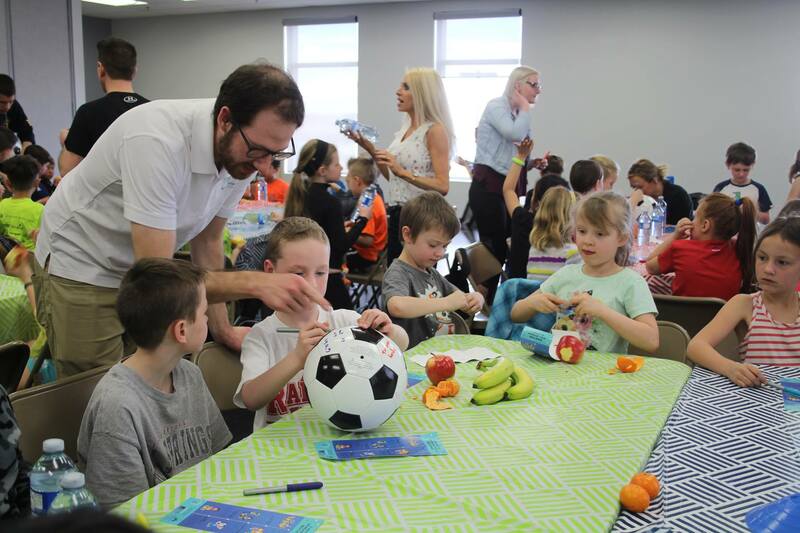 On April 8, 2017 Dr. Caroline McDonald-Harker (child initiative) and her research team hosted the “Building Resilience in Kids Through Sport Event” at the Crescent Point Regional Field House in Aldersyde, Alberta. Over 72 children between the ages of 5 to 17 years attended the event. 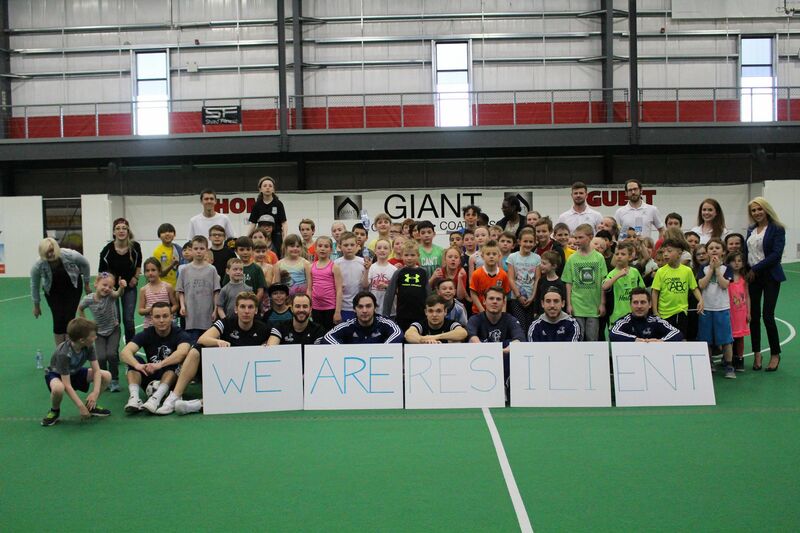 Dr. McDonald-Harker and her research team helped children learn about resilience through sport, play, and fun. 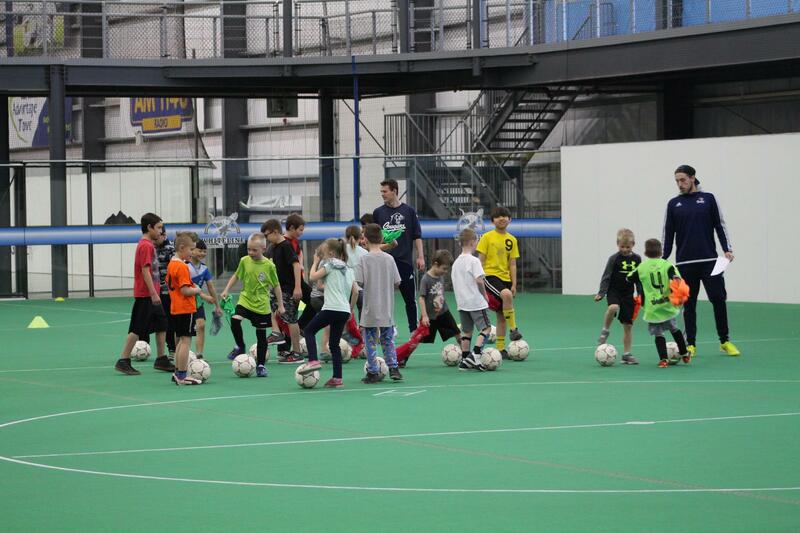 The children participated in 1) an interactive workshop led by the research team where they learned about resilience skills through group activities; and 2) an interactive soccer training and games session led by Mount Royal University’s Cougar Athletics Men’s Soccer Team where they learned how to apply these resilience skills through play. Children were given a “5 Ways to Increase Resilience in Children” infographic to take home with them to remember the resilience skills they learned. On February 27, 2017 Dr. Robin Cox (youth initiative) and her research team hosted a “Yout Building Resilient Communities Pitch Event” at Bow Valley College in Calgary, Alberta where youth between the ages of 15 to 24 years pitched their resilience initiative ideas to local changemakers after having the opportunity to connect and partner with local experts to develop their ideas. After the youth pitched their ideas, the invited guests were able to follow a formal gallery walk to learn more about the projects and offer tangible avenues of support. 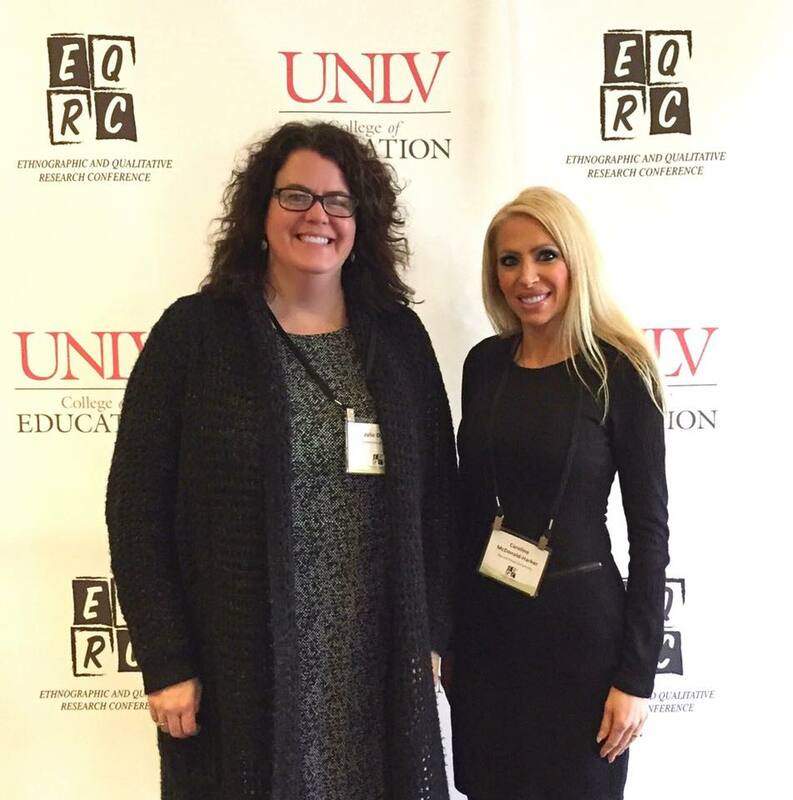 On January 31, 2017 Dr. Julie Drolet (community stream) and Dr. Caroline McDonald-Harker (child stream) presented findings from the ARC project about the experiences of children and communities during the 2013 Alberta Flood at the Ethnographic and Qualitative Research Conference (EQRC) in Las Vegas, Nevada. 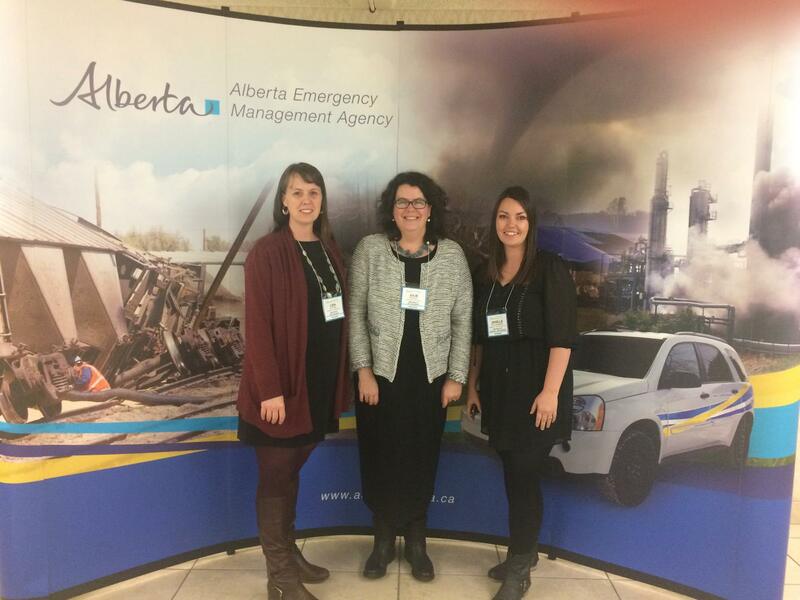 On November 21, 2016 Dr. Julie Drolet, who is leading the Community Stream, along with Lisa Elford, Project Manager, and Janelle Richardson, Community Based Researcher, presented and discussed the Alberta Resilient Communities (ARC) project at the Alberta Emergency Management Agency (AEMA) Summit. 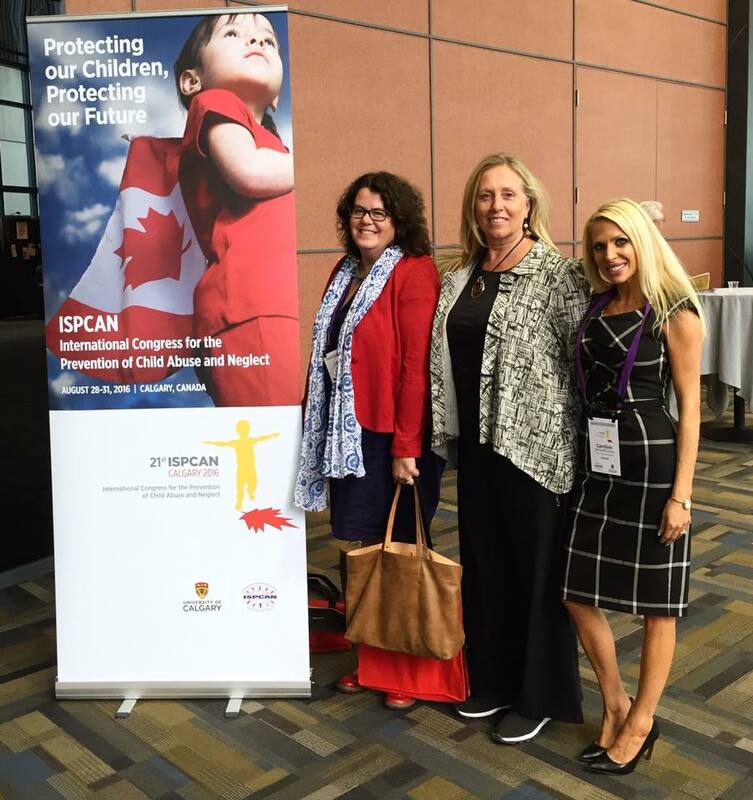 On August 29, 2016, lead researchers Dr. Julie Drolet, Dr. Robin Cox, and Dr. Caroline McDonald-Harker, as well as Community-Based Researchers Lisa Elford and Janelle Richardson gave a presentation about the ARC Project at the International Society for the Prevention of Child Abuse and Neglect (ISPCAN) in Calgary, AB. The ARC research team was interviewed by CBC Radio-Canada about their presentation at “The International Society for the Prevention of Child Abuse and Neglect (ISPCAN)” conference, where they discuss the project. To read the article in French, please continue here. 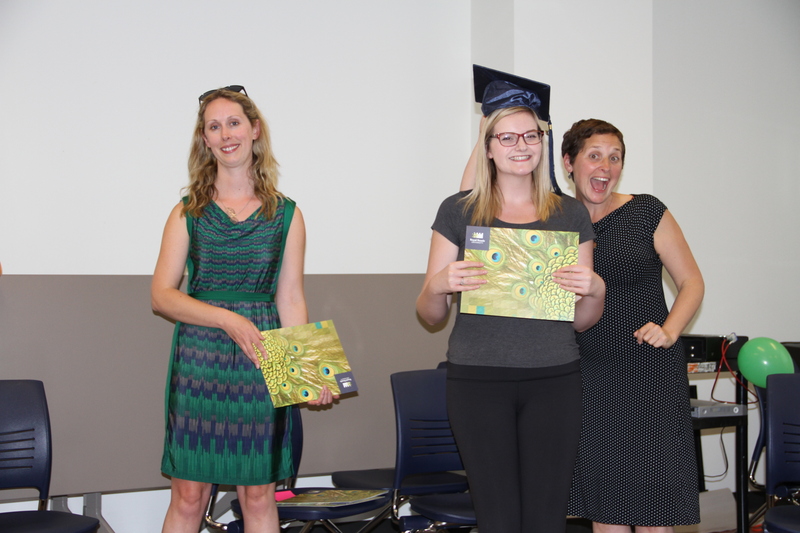 In August 2016 Dr. Robin Cox (youth initiative) and her research team presented twelve youth participants from the ARC project with Resilience Innovation Skills Lab (RISL) certificates which they received after completing the eight labs of the RISL certificate process. 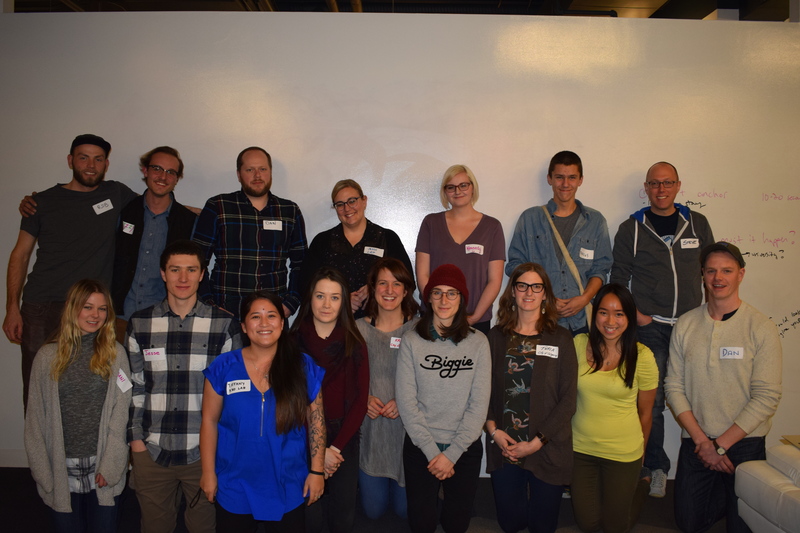 The process, which began with a multi-day workshop in Banff Alberta involved youth participants in an iterative process of learning skills to support social innovation, and then engaged youth participants in a social innovation lab. The eight-lab RISL consisted of face-to-face and virtual labs focused on developing skills related to information/data gathering and analysis, community engagement, digital storytelling, creative problem solving, and prototyping. 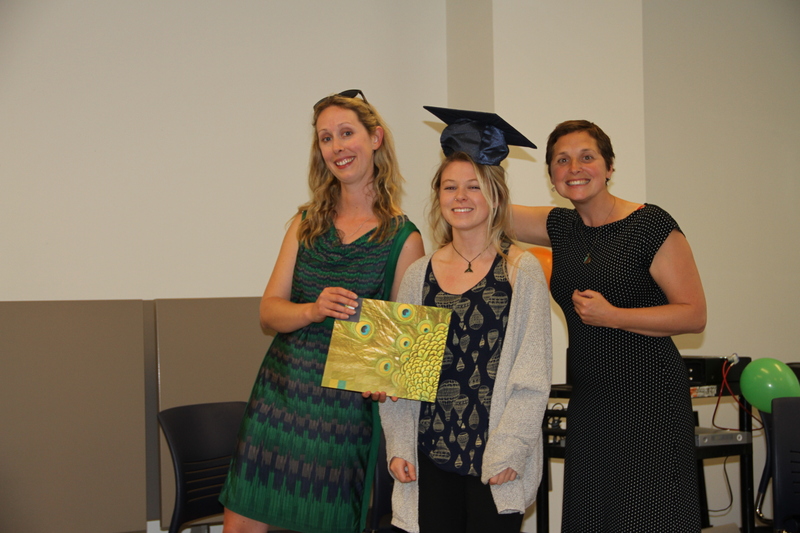 The certificates of completion were offered by the ResiliencebyDesign Research Innovation Lab (RbD) and the Continuing Studies department at Royal Roads University. 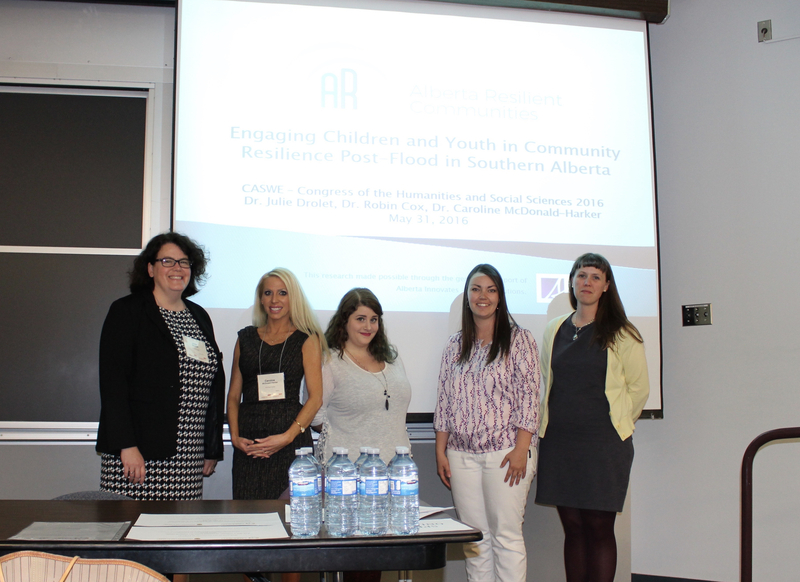 On May 31 2016, Dr. Julie Drolet (community initiative), Dr. Caroline McDonald-Harker (child initiative), Lisa Elford (project manager), Janelle Richardson (Community Based Researcher), and Roxanne Trask (Research Assistant on the youth initiative) presented findings from the ARC project about the experiences of families, youth, and children during the 2013 Alberta Flood at Canadian Association for Social Work Education Conference in Calgary, Alberta. 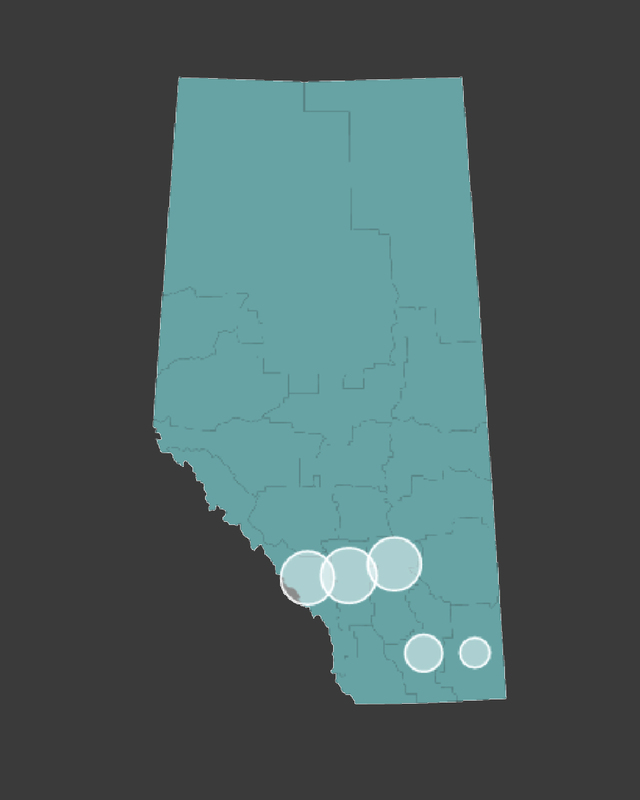 The ARC Project examines the lived realities of children, youth and their communities post-flood in order to inform and strengthen child and youth functioning, health, well-being, and resilience, and to enhance citizen engagement in disaster preparedness, disaster risk reduction, and disaster resilience in Alberta.